Wounds that do not heal in 4-6 weeks, whether caused by an injury or an illness, require specialized treatment. The Wound Healing Center at Englewood Hospital and Medical Center offers advanced outpatient treatment for wounds that do not heal on their own or with standard treatment. For more information or to make an appointment, call the Wound Healing Center at 201-894-3361. We are a comprehensive, multidisciplinary program, with care provided by board-certified wound specialists, vascular surgeons, podiatrists, plastic surgeons, and certified wound care nurses. Treatment may involve minimally invasive surgery, specialized dressings, topical medications, and other advanced therapies. We also integrate patient education into our treatment to help promote long-term recovery, prevent complications, enhance overall well-being, and improve quality of life. Our Wound Healing Center has helped countless patients over more than two decades. Our 94 percent success rate in improving or healing wounds is among the highest nationally. Because we are located within a hospital, patients and our wound care team have access to the full resources of a comprehensive medical center. 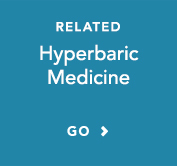 As part of our advanced, comprehensive treatment plan, the Wound Healing Center is integrated with our state-of-the-art hyperbaric oxygen therapy unit, which is open 24 hours a day, and accredited by the Undersea & Hyperbaric Medical Society. Most patients to the Wound Healing Center are referred to us by a physician, but we also accept self-referred patients. To make an appointment, call 201-894-3361.When you come in, our staff will evaluate your wound and general health and take a medical history. We may perform special tests that give us information about blood flow and oxygen flow in the wound area. We may also order additional blood work, imaging such as X-rays, or other diagnostic testing. Please remember to bring your medical records, insurance cards, and a list of allergies and/or medications that you are currently taking, including aspirin and vitamins. Our mission is to bring complete healing, with a blend of latest technology, expert professional care and a generous portion of human touch. We accept nearly all major insurance plans. When you come to the Wound Healing Center, your referring physician remains part of your care team. We will provide updates on your progress and discuss treatment options with him or her. This coordinated and comprehensive approach ensures that you are receiving the best care possible. All our nurses are wound care-certified, registered nurses.